Share with us your most beautiful moments that include nutella : photos, videos and written stories are all welcome! Our history was created with you and with all the moments you shared with us. As a perfect birthday gift for our nutella brand, please share with us your funniest or most touching memories of nutella. Send us photos, video or story. 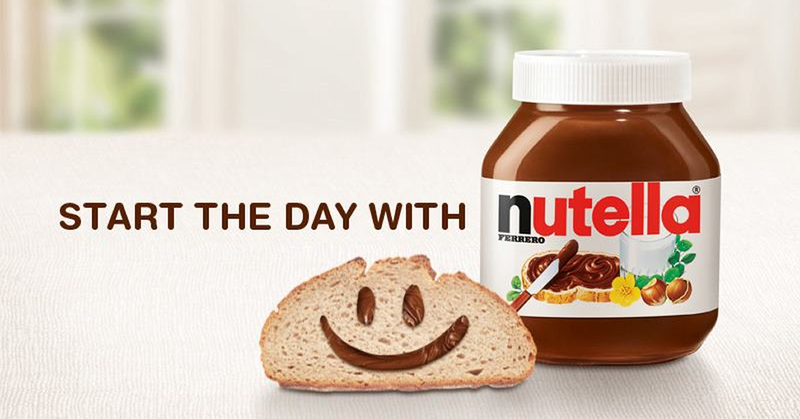 It will be the the perfect way to share your best story of nutella. We’re delighted to welcome you to Nutella’s 50th anniversary blog. nutella is present in almost every country in the world, its 50th birthday is a worldwide celebration. With our World Map, you can browse stories from every continent. Want to know what's happening in New York, Paris, Moscow or Sydney? It's right here. "My friends surprised me with a nutella tree for my 18th birthday. I eat a lot of nutella..."
"That time a bit of nutella fell onto my belly and soon after I took a pregnancy test: I was pregnant..."
"For many years now, nutella has been my companion at breakfast time, as well as when I just need a few..."